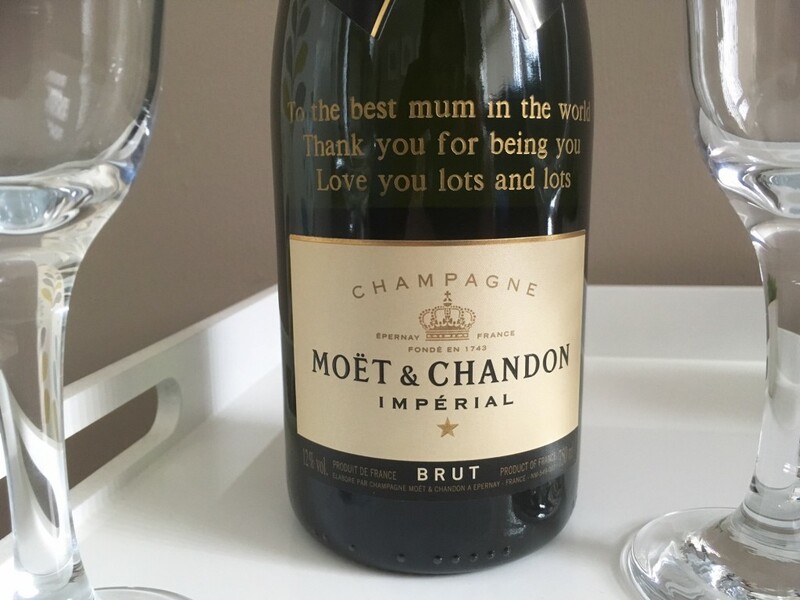 Who wouldn’t want to be presented with a bottle of champagne for Mother’s Day. Gifts Online 4u not only offer champagne gifts, but their personalised service turns a bottle of champagne into a truly unique gift. 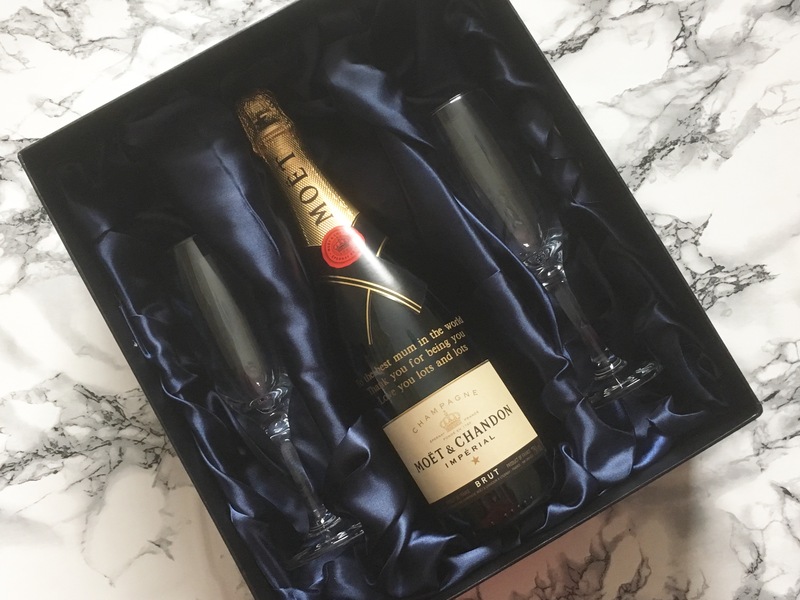 They offer a range of Personalised Moet gifts from mini bottles of Moet, to bottles that are presented in a variety of gift boxes. And you can even go one step further and order Personalised Champagne Glasses, the perfect accessory for your champagne. 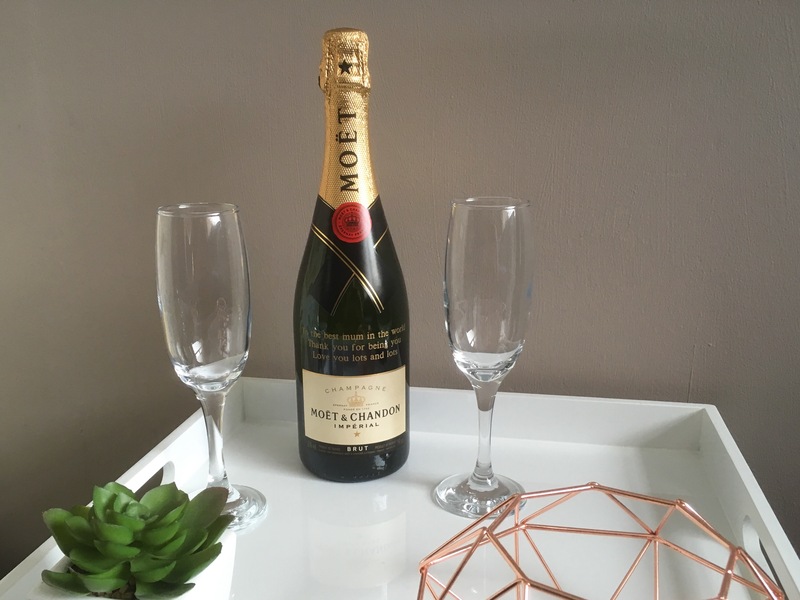 I was kindly sent their Engraved Moet Champagne Gift Set with Champagne Glasses, a truly luxurious gift. Your personalised message is engraved straight onto the bottle, and can be up to 90 characters long lines. There is also a choice of 6 font styles. Ordering online is super easy, and I was really impressed with how quick delivery was. You even have the option of adding a greetings card to your order, meaning that you don’t even have to leave the comfort of your living room to sort out Mother’s Day. The gift set arrived beautifully packaged in this luxurious padded gift box, and I am pretty sure any mum would be pleased to receive this gift on the 11th March. Gift experiences seem to be everywhere now, and what I love about Buyagift is the huge variety they have on their website. 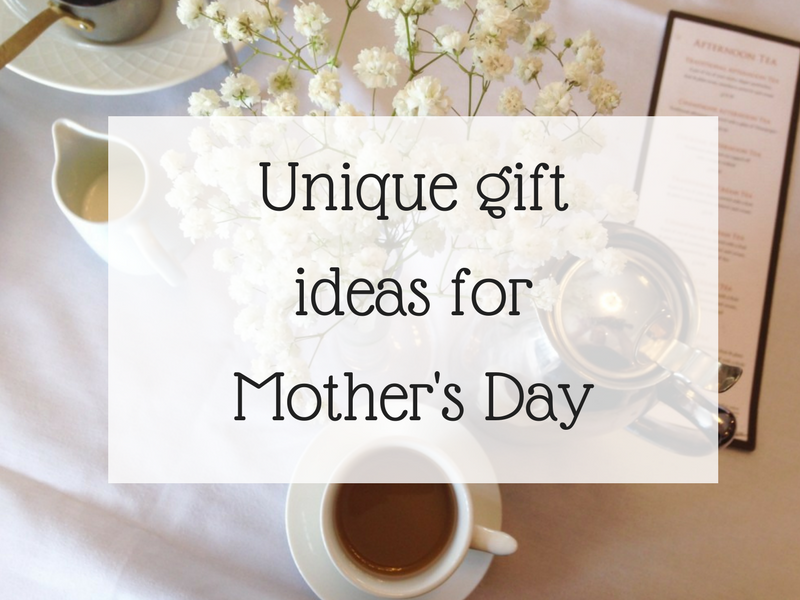 They literally have thousands of gift experiences, something that would suit everybody, and would make a perfect gift for any mum. 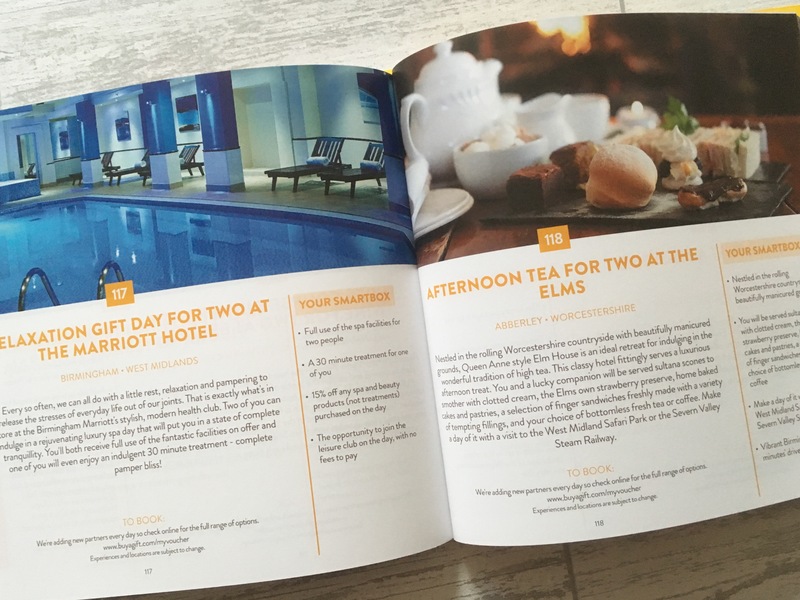 You can choose from spa days, afternoon tea, gin tasting Masterclass, hotel stays, and even driving a supercar. 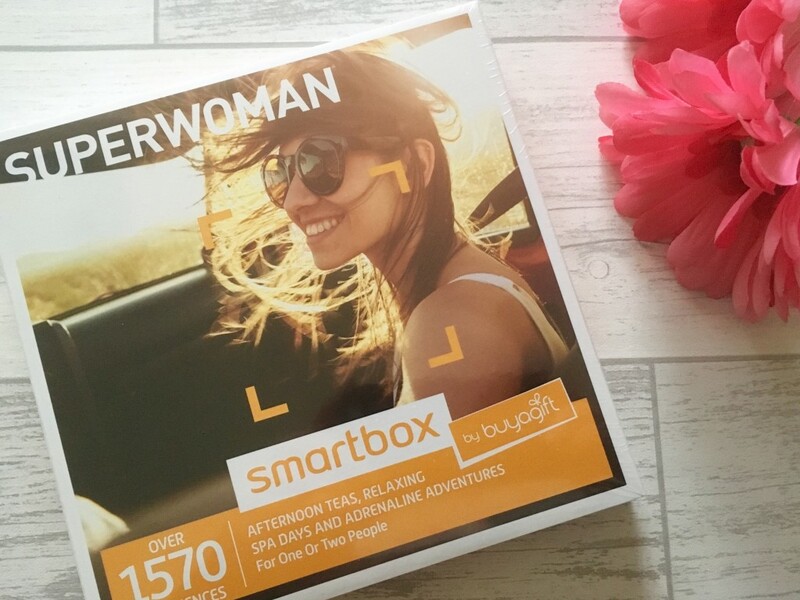 I wrote a little bit more about the wonderful Superwoman Smartboxes that are available, and with 25% of the purchase price going towards Breast Cancer Care if you order before 11th March 2018, it really is a worthwhile gift for Mother’s Day. 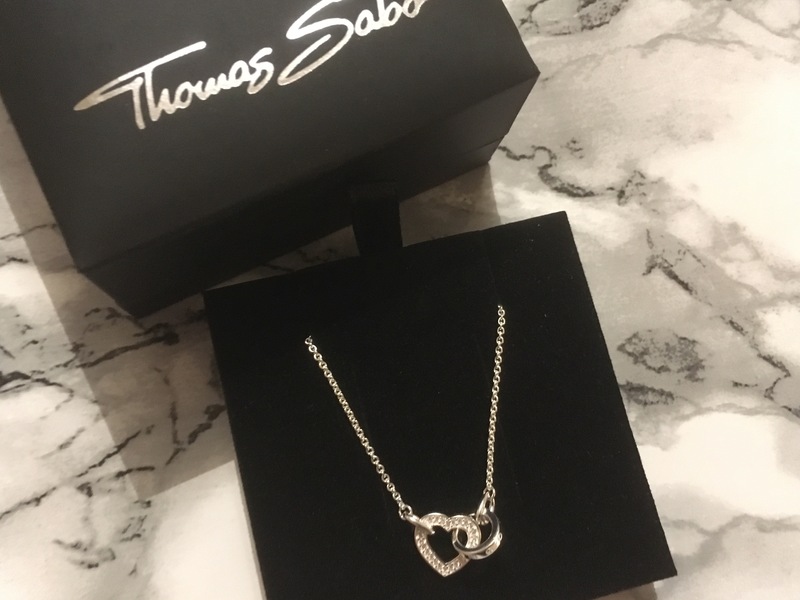 I know that jewellery is a very personal choice, but I can’t imagine any mum would be disappointed to receive this Thomas Sabo necklace next Sunday. The beautiful heart is entwined with a ring that says ‘Together Forever’ and is a beautiful statement for Mother’s Day. 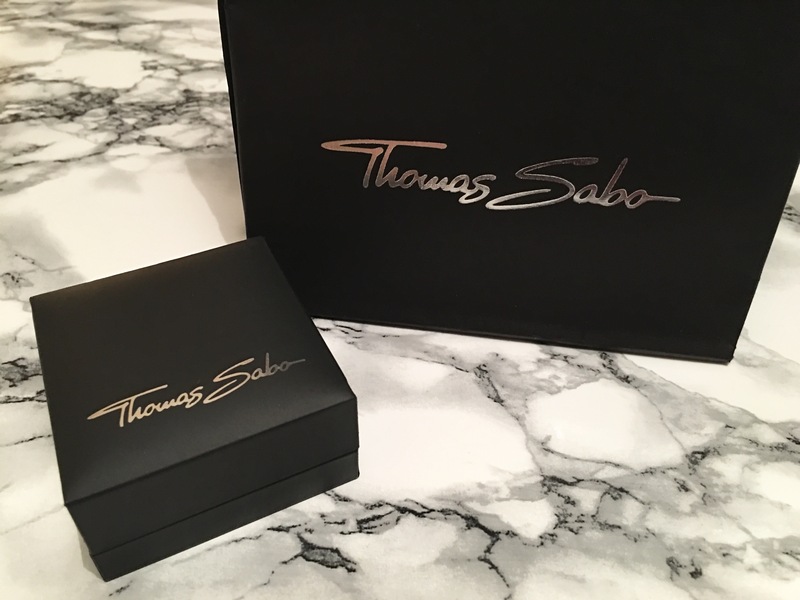 It comes packaged in the Thomas Sabo statement black box, and can be ordered from the Thomas Sabo store from Very in time for Mother’s Day. Does your mum love travelling ? Is there iconic places that you and your mum have visited ? Then a personalised print from My Icon Story could be the perfect gift. Choose from over 300 icons which will be used to create your very own personalised print. I recently received my very own unique print, and you can read more about My Icon Story here, and also get the chance to WIN your very own print. We all like to be pampered on Mother’s Day, and I was sent this beautiful gift box from Beefayre. All their products are inspired by nature, with 3% of their profits going towards bee conservation. On opening the box the divine scent of lavender and geranium hits you, and I can’t wait to start using the products. I have a bubbly bath booked in for Mother’s Day. Just me, relaxing pamper products, a book, and of course a glass of fizz. I think they are all lovely gifts Tracey, a great selection and they are different. I would be happy with any of them but I especially like the Icon story. Good choices.